Whether you’re a seasoned camping veteran, a city slicker looking to reconnect with nature, or at a music festival hoping to keep your smartphone juiced all weekend, it can be tough navigating the big wide world of outdoor gear. 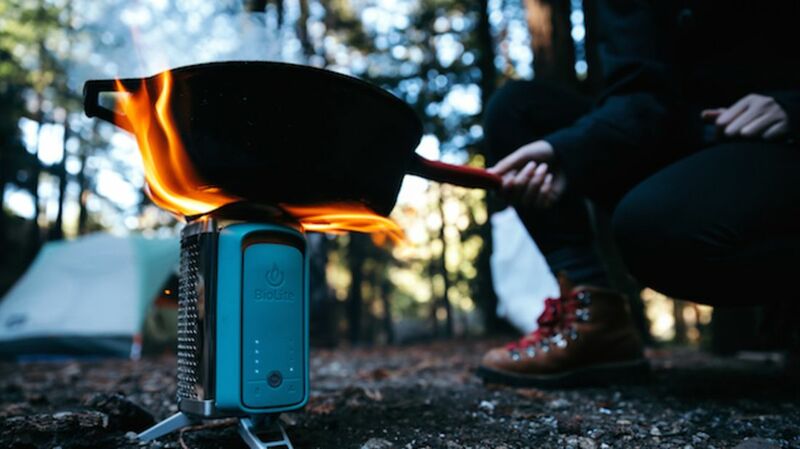 Finally, the CookStove is a “streamlined version” of BioLite's flagship CampStove. The device uses combustion technology to provide a smokeless fire fueled by sticks, twigs, or pellets. The rechargeable battery inside keeps the fan spinning for up to 30 hours on a single charge, and there are four fan settings that control the intensity of the flame. Check out the video below to learn more about the features of the stove and how it works.